This project was a two storey rear addition and attached garage to an existing 80 year old center hall plan residence designed by Veronica Martin Design Studio. 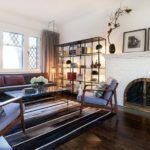 “Our main objective was to maintain the integrity and original character of the home but provide updates for a modern family of 4 – taking a classic approach to modern design. 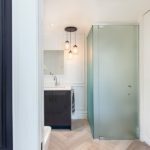 This entry was posted in apartments, bathroom, bedroom, kitchen, living and tagged apartment, bathroom, bedroom, Clarendon Residence, house idea, houseidea, kitchen, living, myhouseidea, Veronica Martin Design Studio on July 27, 2016 by admin.